Many companies rush headlong into CRM without plan. Here are 10 tips to help you plan a successful CRM implementation. Putting the customer right at the center of the organization is what successful Customer Relationship Management (CRM) is all about. Companies that invest in CRM systems can learn even more about their customers and offer more personalized products and services because they receive relevant information daily in a way that allows them to spot trends. Implementing new business strategies always includes an element of risk but proper change management practices can reduce this dramatically. The reason many projects fail lies with poor project execution. Many companies have made the mistake of rushing headlong into CRM without a well thought out plan. CRM initiatives launched without a strategy invariably cause pain. Do not think of CRM as a project separate from your overall business plan. CRM only works when there is clear understanding of why the organisation is doing it and how it will improve service and loyalty, cut costs or increase revenue. The best CRM solutions are flexible and have a full integration capability with any other systems in your business. Far too often CRM is considered an IT project – not a business initiative and it should not be thought of like this; but this means that the business has to understand the technology and what it can and cannot do for them. The greatest success will come from the coordinated efforts business users, IT and supplier. 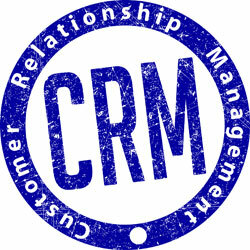 CRM is about an organization’s internal and external business processes becoming more “customer-centric”. Understand your “customer flow”. The systems are merely the enablers, not an end in themselves. The perfect CRM software that meets each and every person’s wish list simply doesn’t exist. Further, do not expect the new CRM solution to just mirror current business processes. Instead, accept that not everyone can have everything they say they want and use the new systems as an opportunity to invent and use new processes that improve customer service, reduce costs and provide better customer service. Go for the highest priority and highest return areas first. Take small, manageable steps not giant leaps and bring the whole organization along with you. For people to use the system, it must be useful to them and easy to use. Every extra field you ask the people to complete, especially mandatory ones, the greater the chance that they will enter garbage or only use the system under duress. Especially if you haven’t implemented a CRM system before get help and expect to pay for it even if it is just a day of a supplier’s time to go through the issues. They’ll see the pitfalls that you can’t and you will not waste time and money on trying to do things that can’t be done, expecting them to happen in a certain way and then be disappointed or miss out on crucial issues that are essential to successful implementation. Make it somebody’s responsibility to own the data, and to make sure that it is correct and complete. Sounds obvious but so many projects just ignore this central detail and CRM systems stand or fall by their data integrity and data quality. User acceptance is the single most important success factor for a CRM system so invest in training. Training is essential to ensuring user acceptance – and a successful CRM implementation. Previous article: Do You Know Who Your Customers Are? Next article: Is Customer Service the New Marketing?